Regardless, I have now uploaded the zip(s) to Tinyupload and it's available for download again. It's not the perfect place (it can have pretty annoying ads if not blocked) but it will do. I also decided to see if I could remove the "trojan" from the game and opened up the sources in Visual Studio. Apparently I was using few functions that VS considered unsafe. I replaced them and compiled the game, and now it would seem that all but one random thing at VirusTotal agree the exe is clean. I don't know if it having been compiled in VS affects being able to run it on linux, though. I know that at least previously the game was playable with Wine. In other news, I failed to declare my 7DRL as failure again with a blog post (as is apparent). I thought I would get the game out just a little bit after the challenge, and then make the post with a release. But then I guess I sort of lost interested to finish it and I'm still waiting for the right moment to do so. I definitely want to, though, as I think it has potential to be interesting and there's not that much left to implement. I don't want Checkmate in Rouge to become another years-long project like Rogue Effect. ...Which is in a pretty good shape actually! I have been sitting on an almost feature complete version of it for some time now. I still want to do some more playtesting and try to add saving. I also discovered Biotic Charge can still crash the game -- even if very rarely. I guess I'll have to make an attempt at fixing that for good. But I'm confident that there will be an actual release in the not-too-distant future. Thanks for making it downloadable again. This is a very good game you did! Thanks for it. 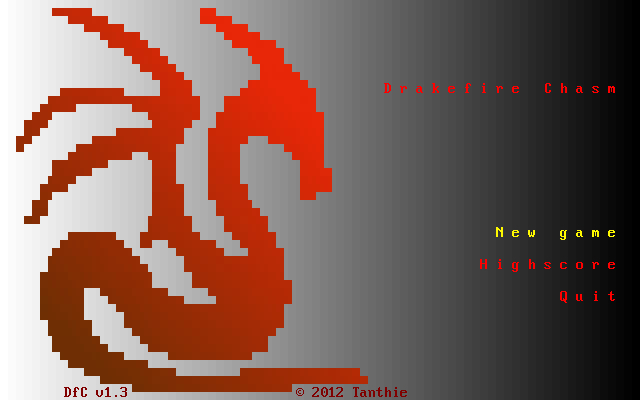 Just so you knew, Drakefire Chasm stopped working under Windows XP somewhere between 1.3 and 1.33. The error it displays is about "not being Win32 executable". As mentioned by Руслан, Drakefire Chasm has stopped running in Windows XP since the switch to VS, stating that the executable is "not a valid Win32 application." I can confirm the last working build in XP was the pre-VS 1.3.2 (dated 2013.Dec.31). All versions, even the newest, do work in 32-bit Wine, however. I recompiled the project targeting WinXP in Visual Studio. So it might work now in ye olde Windows too. I can't test it myself. Sorry it took so long; I just could not be arsed to do anything about it until now.